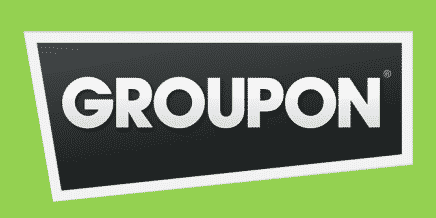 Save Big On Gifts for Dad with Groupon Fathers Day Deals And Specials!! Fathers Day is a little less than 2 weeks away. You still have plenty of time to find an awesome gift for your dad if you have not already done so. One place where you can find awesome deals for dad is under the Groupon Fathers Day specials section! They currently have a variety of awesome Fathers Day deals that will make any dad happy. Check out some of the great deals below. 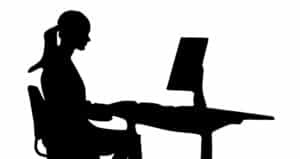 Also, use the Fathers Day coupon code GREEN20 to save on local deals in your area. Does your dad enjoy fishing or sightseeing? If so, consider the 2 or 3 hour charter fishing excursion OR tour of Baltimore’s Inner Harbor by boat. If you opt to get the fishing excursion for your dad, he will not have to worry about bringing rods or bait with him- all supplies are included. Learn more about this awesome gift here. Does your dad enjoy playing chess? If so, check out the marble chess set that is currently a Fathers Day deal on Groupon. The set can even be personalized just for your dad. You can currently save 39% on this chess set and pay only $129! If your dad likes meat and enjoys grilling, check out this deal on steak and burger bundles! You can choose from 3 different bundles of hand cut meat from Homeland Steaks. Prices vary based on the bundle you select. Or, you could purchase the bundle to make an awesome Fathers Day meal at home for your dad! Don’t forget to check out Groupon’s website for other awesome Groupon Fathers Day gift ideas for your dad. 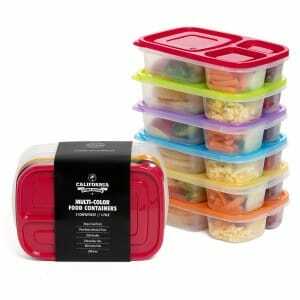 Right now, you can purchase a set of 6 reusable food storage containers for only $14.72! These food containers typically sell for $28.95. The containers can be microwaved and washed in the dishwasher. The storage containers come in several colors and are perfect for adults and kids. Take advantage of this special offer while the deal lasts! Save On Canvas People During The Mothers Day Sale! Are you in need of a special Mother Day gift? If so, check out this special offer from Canvas People! You can currently save up to 80% on all canvases during the Mothers Day sale. You can get a special photo or print framed at a discounted price. You could also take advantage of this sale to get a special gift for a graduate! White House Black Market Coupons When You Sign Up! If you enjoy shopping at White House Black Market, be sure to sign up for their style destination newsletter. When you do, you will receive White House Black Market coupons! One coupon is $20 off your next purchase and FREE shipping with purchases totaling $80 or more! When you sign up, you will receive style tips, VIP benefits, and more! The MLB baseball season is upon us! Now is the time to stock up on your favorite MLB team’s apparel. Amazon is currently running a sale on select MLB merchandise. 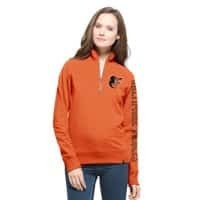 You can save on shirts, hats, socks, jackets and more! Take advantage of this special sale while you can, it will not stick around forever! 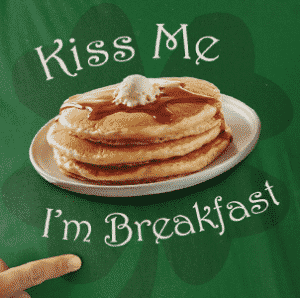 Today, you can score a short stack of buttermilk IHOP pancakes for only $1.00 in celebration of St Patrick’s Day! How? Just wear some green (like a shirt or a hat)! You do not need a coupon or voucher to take advantage of this deal. Hurry, this offer is only valid at IHOP through 7:00 PM tonight! Starbucks fans! Did you know that you can take advantage of Starbucks Star Code discount offers? That’s right, you can save on your Starbucks purchases! You can save 10% on your online purchase of Starbucks beverage items. Just use the discount code AFF10 at check out. If you spend $75 or more on your order off the Starbucks website, you can get FREE shipping. Register to receive the Starbucks newsletter and you will get 10% off your next purchase off the Starbucks website. If you love eating food from Olive Garden, check out this special online order discount! If you order a meal from the Olive Garden website, you can get 15% off your total when you enter the discount code AWARDS15 at check out. Please note, this discount offer applies to take out orders only. Valentine’s Day is just around the corner! If you have not already made plans or purchased gifts for your special sweetheart, check out these Valentine’s Day deals and saving opportunities. You can save on a Valentine’s meal, gifts, and more. Check out these savings deals below! 1-800-Flowers: You can get 15 percent off any Valentine’s Day gift purchase when you enter the discount code FNFCUPID This code is valid through Feb. 14. California Pizza Kitchen: Take advantage of the Sweet Deal for 2 which includes an appetizer, two entrees, and one dessert from a special Valentine’s menu for $32. This offer is available from February 10 through February 14. Godiva: You can use the discount code TRUFFLES to receive FREE shipping on any online order that totals $65 or more from now through March 31. Kay Jewelers: You can get up to 40% your purchase off select jewelry as part of Kay Jeweler’s online (only) Valentine’s Day sale. Lindt: You can get two bags of 75-piece Lindor Truffles for FREE with the purchase of three 75-piece bags in Lindt Chocolate Shops and on their website. The Melting Pot: You will receive a complimentary box of chocolate-covered strawberries with your purchase totaling $60 or more when you sign up for the FREE Club Fondue Membership. Mrs. Fields: You can get 15% off your order when you enter the discount code COOKIE15 at check out through February 29. 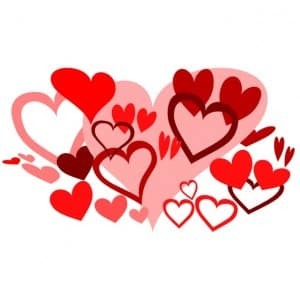 The Popcorn Factory: You can get 25% off a ‘Happy Valentine’s Day Fun Pail’ No coupon needed! Wine.com: You can pay only $5 shipping on any gift baskets and gift sets when you enter the discount code SHIPGIFTS from now through February 29.